What’s Ahead for Gold & Silver in 2014? Plus, Why China Poses a Great Economic Threat to the U.S.
A major negative trend in the market in 2013 – when gold retreated 28% and suffered the worst year in more than three decades – is now also showing signs of reversing. This week, gold prices retook the $1300 level. Money is flowing into physical gold, along with gold ETFs and gold mining stocks. Meanwhile silver climbed back up above $21, while platinum and palladium both gained more ground as all of the precious metals seem to be making up the ground they lost last year. Tom Cloud joins us for the latest in the gold and silver markets and shares some of the fundamental and technical factors that are affecting prices right now. Segment Two : China Poses Great Economic Threat to U.S. The U.S. is not insulated from ill effects from the global economy. While the Fed’s poor monetary policies have been the source for much of the volatility in global markets, other economies are now so integrated with America that a crash within their economy can quickly lead to a crippling of the our economy… the U.S. economy. Personally, I consider China one of the major threats to America’s future, both militarily and economically. 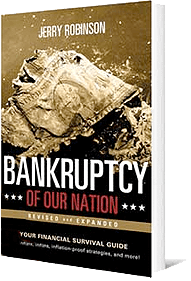 Not only is the country rapidly expanding its military might, it is also attempting to unwind a $24 trillion credit bubble – which by all accounts must be the largest credit bubble in history. Currently, China is attempting to drain this $24 trillion credit bubble slowly and methodically. How will they do this? Well, they are already doing it. Think about it for a minute. Just for kicks, let’s put you in charge of China’s economy for just a moment. You are staring at credit bubble of over $24 trillion. Everyone wants to borrow money. What could you possibly do to slow down the demand for borrowing in China? You’d simply raise interest rates. China has done this slowly and steadily. Now China’s economic system is opaque. It’s virtually impossible to know the mind of China. However, when you follow the money, you discover that China appears to be tackling its massive credit bubble with a gradual rise in interest rates to slow the borrowing. If China mishandles this attempt at deleveraging, things could get ugly very quickly for the global economy. Societe Generale – one of Europe’s largest banks –has warned that the negative economic effects of China’s massive credit bubble could cause economic growth to slow dramatically with annual GDP growth bottoming out near 2% per year. Now realize, that’s a BIG drop from where China is now. For example, last year China’s economy grew by 7.7%. If Societe Generale is correct in their analysis, it could lead to absolute crash in Chinese stocks by about 30%. Copper prices could get cut in half along with a massive fall in crude oil prices. If that happened, how do you think that would affect Mr. Bernanke’s “recovery?” And how do you think the new Fed Chairman Janet Yellen would respond to such a financial meltdown? I agree. And it is in this environment, friends, that you are investing your retirement money: your 401k, your IRA, your 403b, your 529 plans, etc. These are challenging times for investors. Here are a few of the bullet points that I found very sad, but true. You let your political views guide your investments without realizing that the market doesn’t care who you voted for or which cable news outlet you find more honest. For every $1 raise you receive, your desires rise by $2 or more. You spend lots of money on material stuff to impress other people without realizing those other people couldn’t care less about you. You’d be shocked at how few people care where your purse was made or how much noise your car makes. You think you’re young, invincible, and don’t need health insurance. Then icy sidewalks, moving cars, and rapidly dividing cells prove you wrong. You get upset when you hear on TV that the government is running a deficit. It doesn’t bother you that you heard this on a TV you bought on a credit card in a home you purchased with a no-money-down mortgage. You’re part of the roughly half of Americans who can’t come up with $2,000 in 30 days for an emergency, even though you’re also part of the roughly 100% of Americans who will need to come up with $2,000 in 30 days for an emergency at some point in your life. You’re thrilled that the credit card you’re paying 22% interest on offers 1% cash back on all purchases. You spent the last five years arguing why Keynesian/Austrian economists were all wrong. The S&P 500 (SNPINDEX: ^GSPC ) spent the last five years rallying 177%. You say you’ll be greedy when others are fearful, then seek the fetal position when the market falls 2%. You’re willing to work hard for $15 an hour, but too lazy to spend four minutes to fill out your company’s 401(k) paperwork that could result in thousands of dollars of free money from matching contributions. You seek advice from a doctor to manage your health, an accountant to do your taxes, a lawyer to manage your legal problems, a plumber to fix your plumbing, a contractor to build your house, a trainer to help you exercise, a dentist to fix your teeth, and a pilot to fly when you travel. You wouldn’t consider doing it differently. Then, with no experience, you go about investing willy nilly, all by yourself. You think renting a home is throwing money away when for many it’s one of the smartest financial decisions they can make. Next, Jennifer Robinson is here to update our FTM Insiders on Trigger Trading activity for the past week. We sold out of four positions this week, including one stock which stopped out (JKS for a 4% loss). The other three stocks all made a profit and were ATLH for 1%, KEYW for 8.11%, and IDTI for 8.64%. It was a great week! We still have four stocks in play (including EWG up 1.21% and XYL up 2.75%), and are awaiting the trigger price on three other stocks. PODCAST: Are You Ready For The “Green Gold Rush”? PODCAST: Have You Heard of the 770 Account? PODCAST: Why is Money Made of Paper? DISCLAIMER: The above trading ideas are from my own personal stock watchlist and are for educational and informational purposes only. They are NOT specific buy recommendations. Trading stocks is risky and you could lose all of your money. Trade at your own risk. 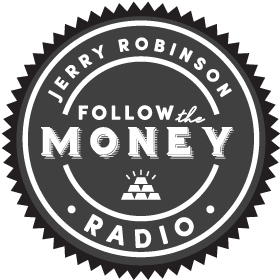 Jerry Robinson is not an investment advisor. You should always consult a trusted financial services professional before making any financial or investment decisions. READ FULL DISCLAIMER.